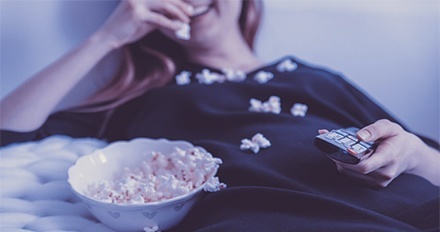 Ever thought how Netflix recommends you a certain film? Netflix filters films based on users’ individual viewing history and similarities amongst them. They identify users that have watched similar films to you, and then they recommend those that they have watched but you haven’t. These recommendations can then be filtered into genres of interest. Notice also that Netflix doesn’t show you what kind of films you may want to watch, but the exact titles you may be interested in. This is an approach called collaborative filtering. giosg does something similar for online stores, but instead of figuring out which titles you are interested in, we figure out whether you are there to buy or not. Like Netflix? In simple terms, we look for users similar to you and we predict that you will behave in the same way as them. This is based on the notion that people behave very similarly in similar situations. In a sense, this implies that people are not that unique, but then again, wouldn’t it be strange if people had extremely different responses to similar situations? We create a profile for every user. This profile contains information such as the pages the user has visited, as well as other information we deem important such as the device being used. Once we have these profiles, we make a similar prediction to Netflix, and predict the conversion probability for a given user. This is a small step away from pure uplift modelling, but, in a nutshell, we rely on these probabilities to improve conversion. So very much like Netflix, we use past behaviour data to predict behaviour in real time. We have used this behavioural predicting model, which we call giosg Target, with some of our customers, and we have a white paper with Finnish sports retailer XXL. 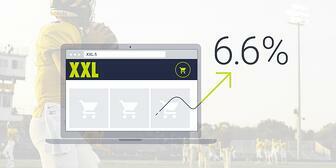 Our digital, machine learning mastermind helped XXL is increase conversion rate by 6.6%. Most notably, this increase in conversion was additional to the improvements they saw by using manually created rules, a growth in conversion they could not have achieved without AI! What would you do if you knew what users are going to do before they do it? Find out more reading our XXL case study here!